Oprah Winfrey is an iconic American television talk show host, and a mogul in the entertainment industry. From 1986 to 2011, she hosted The Oprah Winfrey Show, which was the highest rated talk show of in history. She is currently the Chairman and Chief Executive Officer of Harpo Productions, and Chairman, Chief Executive Officer and Chief Operating Officer of the Oprah Winfrey Network (an American television channel). She is also known for her philanthropy, and is passionate about causes related to education and African-Americans in the United States. Oprah Winfrey’s Leadership Style: The Top 3 Leadership Qualities of the woman behind the famous TV show and HARPO Productions. If Winfrey had allowed her humble beginnings to define what she could achieve, she would never have become as successful and influential as she is today. Instead she harnessed the power of her education and found a career that she was passionate about. Even once she found success with The Oprah Winfrey Show, she had the courage the dream even bigger. She continued to focus on the talk show as the linchpin of her brand, but went into other related areas such as publishing and production. 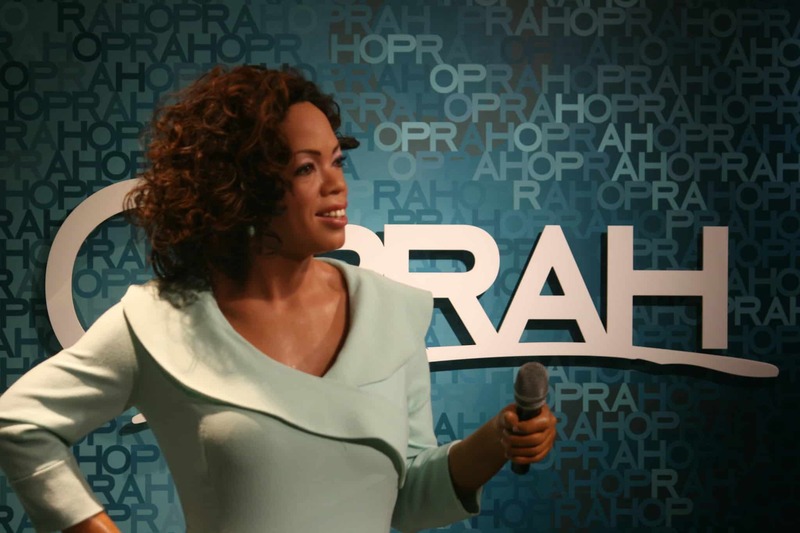 This ultimately led to her own television channel, the Oprah Winfrey Network. Have a bold vision, believe in it and people will believe in you as a leader. Winfrey knew that it was necessary to value two important sets of people: her team and her audience. Winfrey surrounded herself with the best people based on their skills and compatibility with organizational values. She inspired them with her vision and rewarded them for their hard work and loyalty (she once gave her 1,000+ employees and their families an all-expenses trip to Hawaii to thank them for their service). For any business, your customers are your #1 priority; Winfrey never forgot this. During the run of The Oprah Winfrey Show, she often had lavish giveaways where her studio audience would be gifted with free stuff. During the last year of her show, she famously gave every audience member a free trip to Australia! More than that, Winfrey was known for listening to her audience and even including them in her shows. This demonstrated care for her audience and so they remained engaged with her show and followed her other projects. Think about your own business or organization, and the importance of your team and your customers. 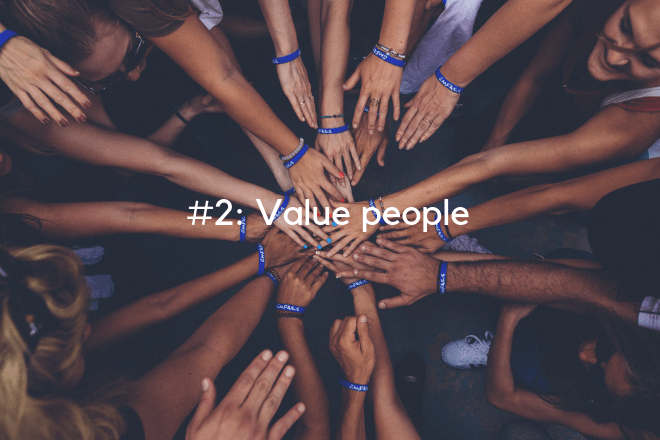 How can you value them and make them feel appreciated? As a leader, never forget that people are the heart of your business, not profits. “I had no idea that being your authentic self could make me as rich as I’ve become. If I had, I’d have done it a lot earlier.” Winfrey’s extraordinary success can be partly attributed to how she has managed to align her values with her dreams. She is a strong proponent of having a positive mindset and being your best self, and she believes that living in alignment with your values will put you on the life path you should be on. Winfrey also believes in the value of hard work, and has worked tirelessly over the years to build her media empire. At the same time, she values giving back and her charitable works and contributions is testament to her desire to make a difference in the lives of those less privileged. Winfrey walks the talk, and this alignment of her values with her dreams has attracted like-minded people to work in her organization to great success. Her authenticity is also how she has built such a massive audience; people believe her words and ideas because she clearly believes in them. Your audience can sense if you’re being “real” versus just saying something to sell more product. 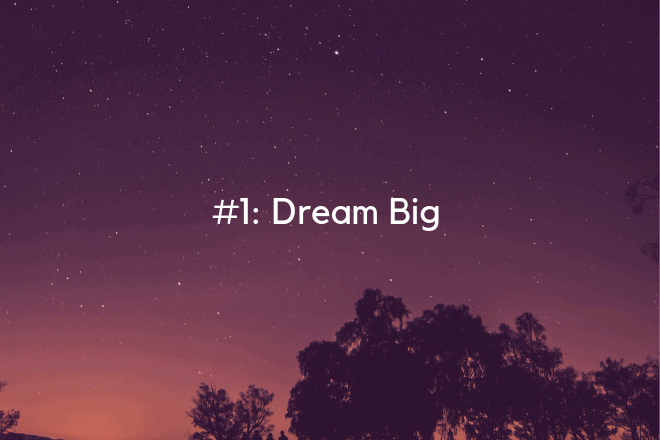 As a leader, if you’re able to align your dreams with your values, you can inspire the people around you and move your organization towards success. Your customers will also be able to sense your authenticity and will be more receptive towards you. Oprah Winfrey was born on January 29th, 1964 in Mississippi to a teenaged unwed mother. She had a difficult childhood; she grew up in poverty and suffered sexual abuse. She had a troubled relationship with her strict mother and was a rebellious teenager. With her mother at her wit’s end, Winfrey moved to Nashville, Tennessee to live with Vernon Winfrey, her biological father. Her father encouraged her to do well in school and as a result, Winfrey became an honors student and secured a full scholarship to Tennessee State University by winning a speech contest. She graduated with a degree in communications. Winfrey started working in the media as a news anchor in Nashville. Her big break came in 1983 when she moved to Chicago to host AM Chicago, a morning talk show. With her as host, the show became the highest-rated talk show in Chicago within months. This success led to the creation of The Oprah Winfrey Show. The Oprah Winfrey Show became a huge success and at height during 1991-1992, attracted 13.1 million viewers each day. Other than the show, Winfrey set up Harpo Productions, published magazines and started the popular Oprah’s Book Club. She also acted in and/or produced several films, including the acclaimed The Color Purple for which she earned an Academy Award nomination for Best Supporting Actress. When her talk show ended in 2011, Winfrey moved on to the Oprah Winfrey Network (OWN), a partnership with the Discovery Network. She continues to work at OWN today. As of 2015, Winfrey’s estimated net worth is $3.1 billion. Her charitable contributions include over $400 million to educational causes, 400 scholarships to Morehouse College in Atlanta, Georgia, $12 million to the Smithsonian’s National Museum of African American History and Culture and $10 million to help with the aftermath of Hurricane Katrina. Winfrey is acknowledged as one of the most influential women of her time. She was awarded the Presidential Medal of Freedom in 2013 by President Obama. Learn all about life and every aspect of the human experience from these unique lessons by Oprah Winfrey. After 14 years of sharing wisdom with worldwide audiences, Oprah Winfrey’s most beloved and cherished thoughts and words are now carefully compiled, edited and updated in this beautiful book. Oprah Winfrey is the richest African American in history, and her success was self-made. See how she rose from a poor childhood in rural Mississippi to become one of the nation’s most beloved heroines. Rarely has there been such a versatile, eclectic and widely popular celebrity like Oprah Winfrey. Her famous talk show reached unmatched worldwide success making her name synonymous with success in all corners of the world. In this book, Oprah Winfrey reveals the secrets of her success. If you liked this post, consider checking out our post on the Top 15 Leadership Quotes from Oprah Winfrey.